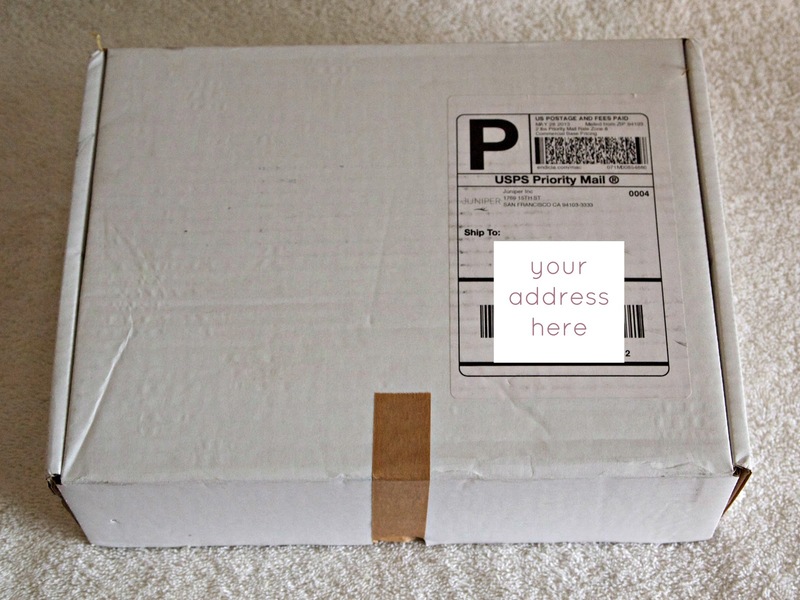 How many monthly subscription boxes are you aware of? 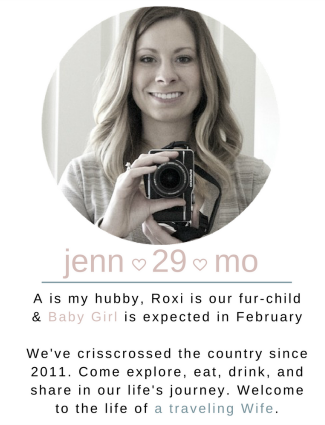 Did you know that there are well over 100 different subscription box services available? I did not know that fact until I started researching into them. There are boxes for beauty, jewelry, socks, food, beverage, craft, pets, kids, time of the month, and many many more categories. So guess what I did? I reached out to 75ish of those subscription box companies to see if they would send me a box for free to review. Can you guess what happened next? Well a few of those companies said yes and I have already received a few of those boxes. This means you will get to see one box a week reviewed here and I will give you my final verdict at the end of this series!! 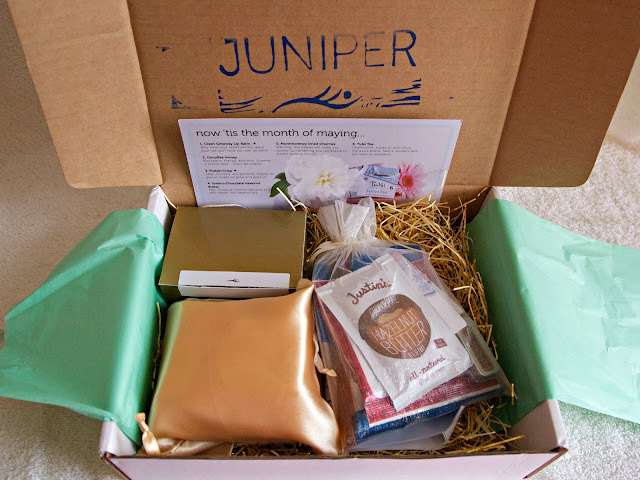 *Juniper sent me a box for free to review. No other compensation was received and all opinions are my own. 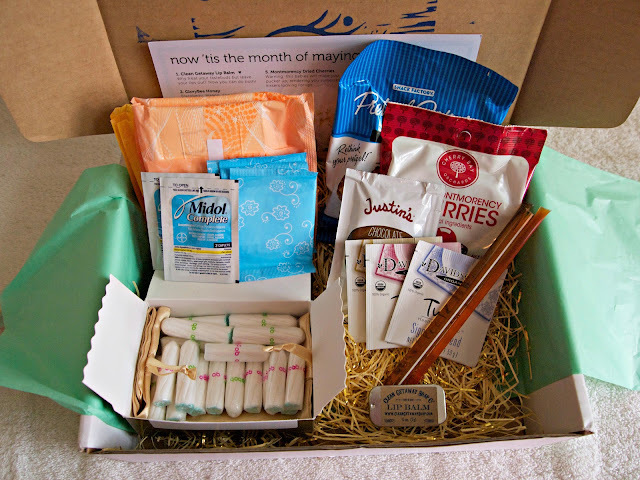 When I was doing my research for all the different types of subscription boxes I was surprised to see how many companies were sending out monthly boxes for a ladies special time of the month. You know, when mother nature comes to visit? Or when Aunt Flo is in town? Or the time of the month when you sit in front of the refrigerator until it is empty? You understand where I am going with this. Juniper is just that. And when they offered to send me a box to review I was kind of excited. Who gets excited for the dreaded period?! And I am not going to lie but I will get personal the box came in perfect timing - as it would if you subscribed to their monthly box service. One thing I love about the box is that it is plain and simple. There is no advertising all over the box saying to your delivery man, "Whoa, this chick is about to get crazy so knock and run fast!" Then I opened the box and it was like a party. Each month you receive little treats like pretzels, dried fruit, chocolate, tea, and of course the party poppers and pads. Yes, they are considered party poppers in my house because the atmosphere is the exact opposite of a party!! You also get to choose your favorite party popper from Tampax, Tampax Pearl, U Kotex, o.b., Playtex Gentle Glide, or Natracare so you don't get stuck with a brand of tampon you don't like. Everything comes packaged so discretely and nicely. Can you even tell that this box is full of tampons and pads? Here is what I received along with the price per item. You can also tailor the box to fit your needs. Let's say you didn't need all those super tampons but needed more regular, you just let them know so they can adjust your quantity for next month. 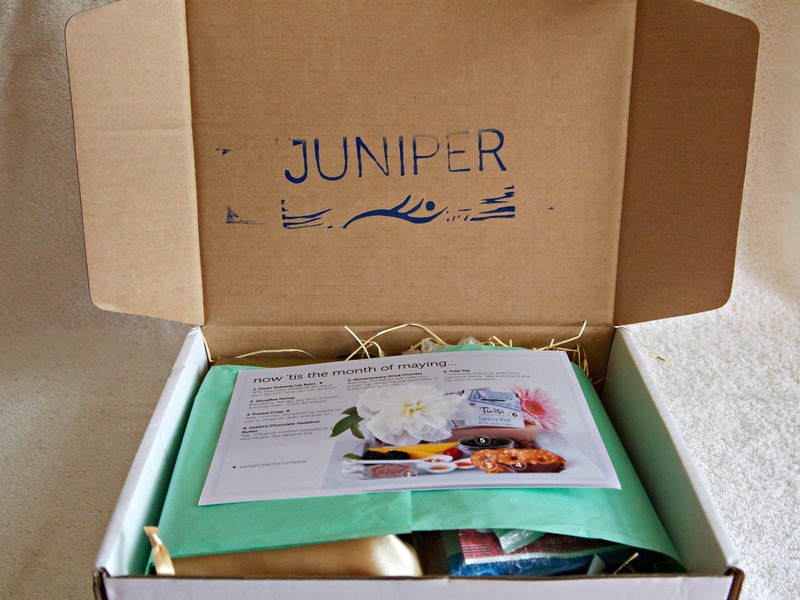 Overall, I think Juniper is a great subscription box because it saves you the headache of rummaging through the house or under the sofa like you would for spare change when you forgot to pick up your monthly necessities. Best of all, Lynn, the founder of Juniper, says in her monthly letter that is included in the box, "...be your effing self." She's a smart, smart lady! Have you ever heard of a monthly subscription box like this? I would love to look forward to that time of the month! I think it looks great, but sounded a bit pricey? Its good to try new things too, as you often get stuck with the same thing but it might be something better out there! Great idea with painkillers too!